Make Christmas Day magical this year at The Cow. 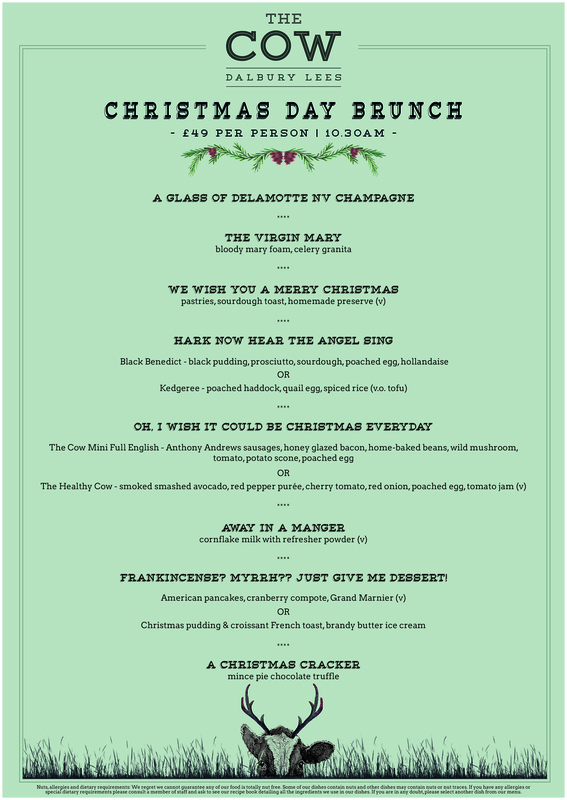 Start your special day with a glass of Champagne followed by a Virgin Mary before munching your way through our wonderful festive Christmas Brunch. Indulge in our delightful selected treats – a perfect start to your Christmas morning.